At age fifteen, Nikki Leonti signed a record deal and had a successful Christian music career. Three years later she became pregnant out of wedlock, which caused many to turn away from her. When she envisioned her future, she didn't foresee her life falling apart. Suddenly she was a single parent. Many single parents feel alone, ashamed, hopeless, confused, or just plain tired and tempted to give in to the negative voices that say it is impossible to fulfill the dreams of their youth. From personal stories of overcoming, to Scriptures that were her anchor during the most difficult moments, Nikki shares transparently her journey of experiencing God's redeeming grace. Re-center your heart and mind towards what is good. Navigate through the uncertainty that comes with single parenting. Discover that your baggage can be the source of the greatest joy and restoration. Get back on track to fulfill the incredible purpose God has for your life! There is no perfect parent and being a single parent can make you feel even more imperfect. 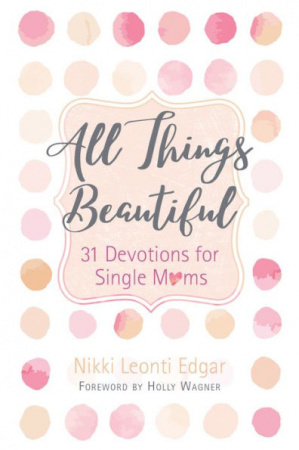 If you have experienced the end of a relationship, divorce, or loss of a spouse, this book is a great source of encouragement for parenting solo. There is not a past too messy that can keep God from transforming the most hopeless situation into a beautiful story.